Fitness trackers and other wearable tech are extremely popular with people all over the world. Companies have recognized this growing trend and have jumped on to this opportunity and released a wide variety of brands and products that cater to this hot niche. The most popular wearable tech brands and products are Fitbit, Microsoft Band 2, Garmin, Samsung Gear Fit 2, Jawbone UP3 and several others. There’s no sign of their popularity waning any time soon. In fact, research is actually being done to create wearable tech that can do more advanced functions like tracking food intake, etc. Wearable tech is set to get better and more popular in future. 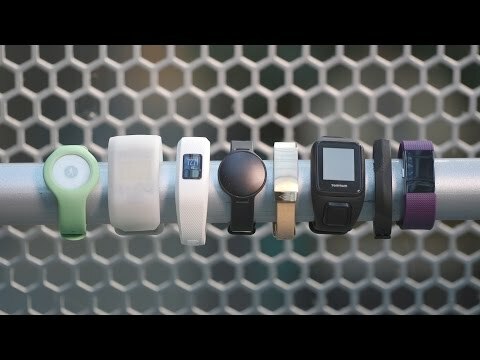 With all the brands and features currently available, it’s quite common for the average person to be overwhelmed and not know what to look for when choosing a fitness tracker. Everything may seem good but in reality, you need to pick one that suits your needs and preferences best. Price is not an indicator of quality or satisfaction you may get. In this article, we’ll look at a few key points you should take note off before you buy any fitness tracker. What you need to know is what type of data you need. Are you trying to track your activity and steps? Do you want to measure your heart rate? Are you concerned about how many hours you’re sleeping? Different gadgets track different things. Some wearable tech have more functions and in fact, many give you more information than you’ll need. Usually, this comes at a heftier price tag. If you want something simple that just tracks how many steps you take, then this is the feature you should look out for. There’s really no need to pay more for features that you’ll never use. This is often forgotten when people buy wearable tech. They’re so concerned with the aesthetics and features that they forget that most devices have an app that complements the product. Make sure the app is easy to use and syncs up to social media if you want to post your stats, etc. just to brag. People love doing this and it gives them added motivation to workout. Choose a gadget that is convenient to use. One good example will be sports headphones that do not have dangling wires. The same applies to any fitness tracker you buy. It should not get in the way of your workout. Accuracy is important. Choose a proven brand that is known for giving reliable feedback. This is especially true for wrist bands that measure heart rate, etc. While not of paramount importance, pick a gadget that will look good with whatever you wear. If you’re tracking your steps daily, you’ll need to wear the wrist band everywhere. Make sure it looks good and is not too garish. Get what you can afford. There’s no need to take out a second mortgage just to buy a fitness tracker. You can lose weight and get fit with or without these gadgets. So, take your time to get one if you’re in a tight spot with your finances. Also, do shop around and look at the prices of the different products and see what’s the best deal you can get. Look online too and check out the customer reviews. Make sure you’re getting the most bang for your buck. This is something worth noting too. If you do a lot of water sports like canoeing or you sometimes run in the rain, you’ll want to get gadgets that are waterproof and will be able to withstand moisture. These are some of the most important points to look out for. Do speak to the sales person at the store to find out more about the trackers or any gadgets you choose to buy. Make sure they come with a warranty too. Use these gadgets well and you will be amazed at how fun and effective they can be.